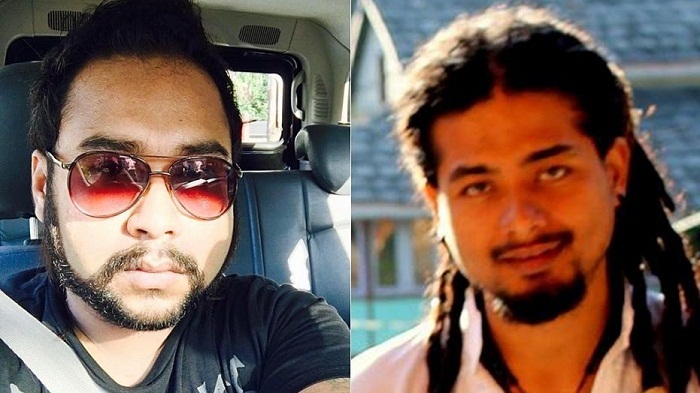 The two latest victims have been identified as Nilotpal Das, an audio engineer and Abijeet Nath, a digital artist - both residents of Guwahati, the largest city in Assam. Police say the pair were attacked when they stopped at a village to ask for directions. Residents reportedly believed they were "kidnappers" they had been warned about on WhatsApp. A video of the attack went viral over the weekend, where one of the men can be seen pleading for his life. On Sunday, students and activists filled the streets of Guwahati to protest against the killings. What is fuelling the rumours? People are citing a video that is being spread on WhatsApp that purportedly shows a child being abducted. In Bangalore, where two people were killed last month, a local showed BBC correspondent Dan Johnson the video on his mobile phone. In it, two men on a motorcycle pull up to a group of children. One of them grabs a child and they ride off. But the video is not real. It's not even from India. An unedited version of the video shows it is a child safety film from Pakistan, designed to create awareness. The last segment of the video, which shows one of the men holding up a sign that explains the incident, has been edited out in the version being spread on WhatsApp. The video is accompanied by text messages that talk about "kidnappers" arriving in the city with the aim of snatching children. Though it was initially spread via the messaging app, the panic was further fuelled when some regional media channels picked up the rumours, lending them credibility. This has prompted locals to attack those who look unfamiliar or cannot speak the regional language. "When rumours start circulating on social media, it takes some time to stop them completely," senior Assam police official Mukesh Agarwal told BBC Hindi's Dilip Kumar Sharma, adding that police were watching various social media sites to try to stop the spread of the messages. Officials elsewhere in India have urged people not to believe messages linked to child abductions. Last month, police in the southern city of Hyderabad marched alongside residents with loudspeakers chanting "don't believe the rumours". In Tamil Nadu state, where a string of violent incidents has been reported in recent months, authorities have begun awareness drives to counter the rumours. In other southern states like Karnataka, police have set up social media control rooms from where they monitor posts, viral messages and videos. Police in Telangana have issued warnings and have also arrested people who circulated false video messages online. So far, officials are yet to find any incidents of child abduction related to the spate of messages and videos being shared online.